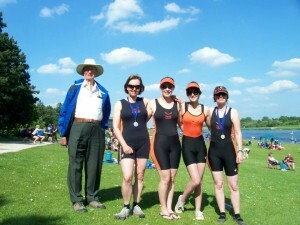 A thoroughly enjoyable day was had by Champs Ladies Scullers in the sunshine and strong cross-winds at Holme Pierrepoint. 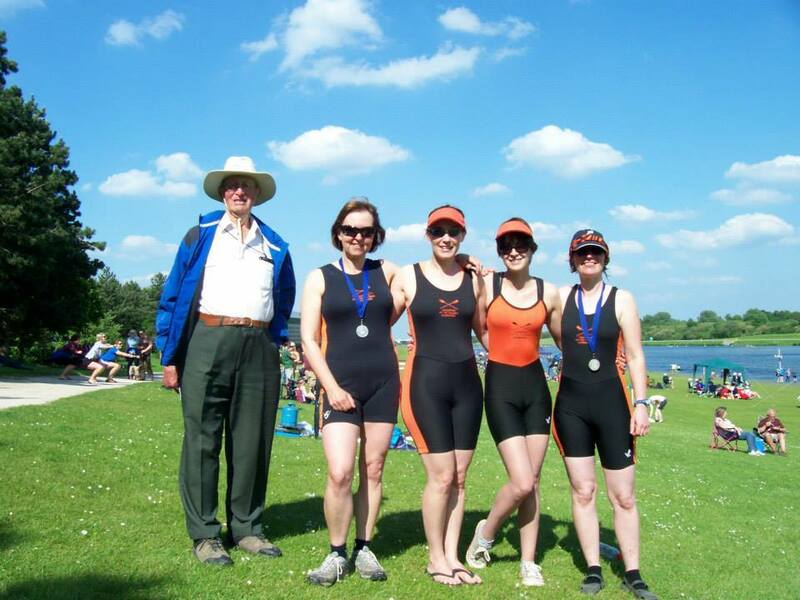 The Mistral 2x of Louise Affleck and Trish Reed won a silver medal in the Novice C race battling with Twickenham RC who just beat them and leaving the rest far behind. The Quadling 4x- of Louise Affleck, Charlotte Allen, Dawn Birch, Trish Reed (Novice B) had a very close race against younger crews without a head start, coming third in the Novice A race.